Traditional 30 years fixed-rate loans are very cheap. Just look around who's offering the lowest interest rates. Find some information online. Ask around. Discuss it with your friends and family members, even a real estate agent to see if they've had an experience with a bank or mortgage company. Don't forget credit unions. They often charge less than commercial banks. Remember, you have to be a member of the credit union to get a loan, and membership is restricted to certain communities. Find out if you're eligible to join a credit union - ask your employer. If you have bad credit, it's very hard to get a mortgage right now. In this case your best option is to qualify for a federally backed loan program. Contact the lender and ask to preapprove the loan you want. You'll fill out an application that asks how much you make, how much you save and how much you owe. The lender will check your credit report and scores and reply with a letter saying youve been preapproved and how much you can borrow. That's the chance to discover any unexpected problems that might make it difficult to qualify for a loan, borrow as much asyou want and get a good rate. Don't settle for being prequalified. That means the lender took your word for everything and didn't pull your credit history or scores. As soon as you've found the home of your dream, it's time to apply for real. Most companies charge a nonrefundable application fee that can range between $250 and $500. Most borrowers stick with the bank or mortgage company that preapproved their loan. Don't be surprised if you have to fill out a second application. A copy of your purchase agreement is needed and you should also verify your income, savings and debts with bank statements, check stubs and many other documents. Lenders wont guarantee what you'll pay until 30 to 45 days before closing. As that day approaches, you need to check around one last time to make sure your lender is still offering the best deal. 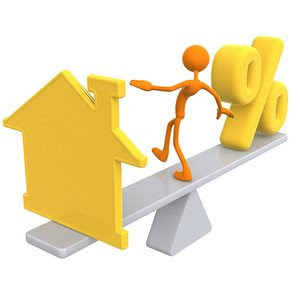 If you are suddenly being quoted a significantly higher interest rate - it's time to reapply somewhere else. Remember, switching lenders could push the closing back a few weeks, don't hesitate to pursue the best possible mortgage. The USA is in the midst of a serious recession. Home sales have been falling since 2007 and no seller is going to kill a deal over a delay like that. Your sales contract will set a deadline (7 - 10 days before closing) to obtain final approval for your loan. Although your bank knows that date from the sales contract, you should remind everyone you speak with about the deadline. If you miss the deadline, the seller can terminate the sale and try to keep your earnest money. But you can expect the seller to be patient in a market like this. Once you have your contract, you're ready for closing.